Why is it important to protect all vulnerable road users? Although all types of road users are at risk of being injured or killed in a road traffic crash, there are notable differences in fatality rates between different road user groups. In particular, the “vulnerable road users” are at greater risk than vehicle occupants and usually bear the greatest burden of injury. Children, elderly, and disabled people are particular vulnerable, as their physical and mental skills are either not fully developed or they are especially fragile. Children and older people are often overrepresented in traffic fatalities, especially as vulnerable road users. Sadly, approximately 50 cyclists, 400 pedestrians and 500 motorcyclists are killed every year in Texas. Many of those fatalities could be prevented if this law were enacted. Although safety and basic humanity are key reasons for enacting the Safe Passing Bill in Texas, there are economic reasons as well. Other types of transport need to be promoted in Texas as the state grows in population. Much of the population will not feel safe enough to consider alternative transportation if they do not feel safe. Who are “vulnerable road users”? What protections does this bill provide? Does the Safe Passing Bill have wide support in the state of Texas? Yes. Safe Passing / Vulnerable Road User Ordinances with language stipulating a safe passing distance have been passed in 25 Texas Cities, including Alamo, Alton, Austin, Beaumont, Brownsville, Corpus Christi, Denton, Edinburg, El Paso, Fort Worth, Galveston, Harlingen, Helotes, Houston, Laredo, McAllen, Midland, Mission, New Braunfels, Palmhurst, Pharr, Plano, San Antonio, San Juan, San Marcos, Waco, and Weslaco. In 2009, after passing the Texas House and Senate by overwhelming majorities, with a unanimous vote in the House, and a vote of 25-5 in the Senate, and after hundreds of calls of support for the bill from constituents in the final hours, Governor Rick Perry vetoed the bill on June 19, 2009. Governor Perry stated in his veto declaration that the bill “contradicts much of the current statute and places the liability and responsibility on the operator of a motor vehicle”; however (1) the Texas Transportation Code already requires vehicles to pass “at a safe distance”, but does not define what that distance is, and (2) the bill does not include a presumption of liability, and provides a defense to prosecution for the motorist if the vulnerable road user was in violation of the law at the time of the incident. 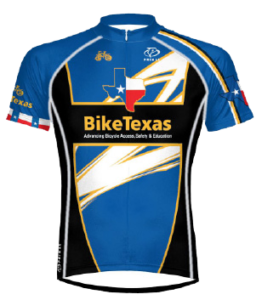 In 2011, BikeTexas focused legislative efforts on Complete Streets legislation, and did not pursue Safe Passing at the state level, opting instead to focus efforts on city ordinances throughout the state. In 2013, a new Texas Safe Passing Bill was filed and passed the transportation committees of both the House and the Senate, but not in time to reach the floor for a full vote. 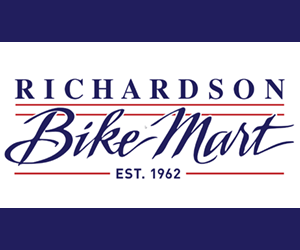 Every year, approximately 50 cyclists, 400 pedestrians and 500 motorcyclists are killed in Texas. Many of those fatalities could be prevented if the Safe Passing Bill (SB488) was enacted.